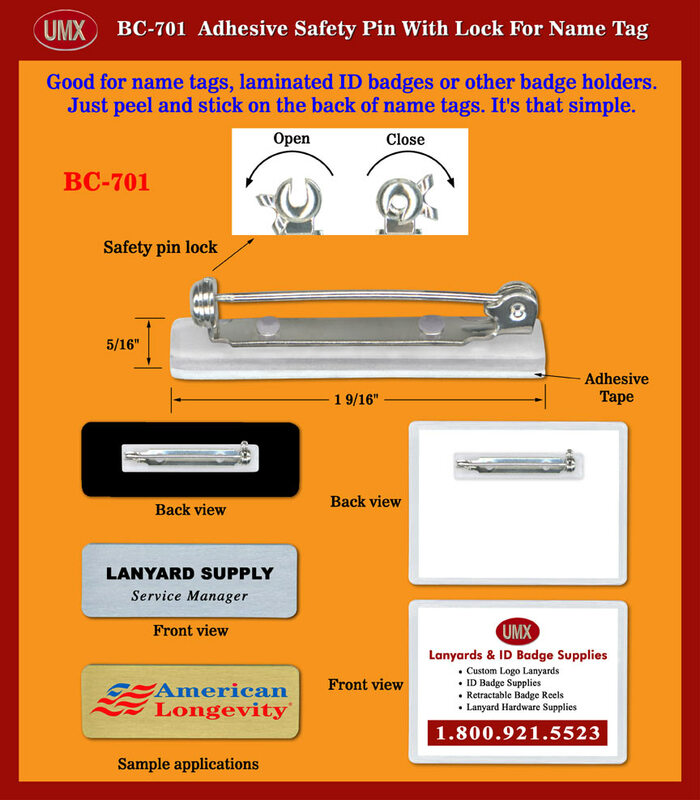 BC-701 pin clip nametag holder or ID holder comes with adhesive tape on the back of metal pin clips. At the end of pin clip has a easy to open and close lock with safety end. The safety pin clip can protection your body or finger from hurting you by accident. The adhesive tape can be peeled and sticked on your nametag or laminated ID holder easily. The adhesive safety pin clips are 5/16" wide by 1 9/16" long. You are viewing Lanyards > Badge Clips > Adhesive Safety Pin Clip Name Tag Holders or ID Holders With Safety Locks For Name Tags, ID Cards or Name Badges.